« Dan Payson-Lewis on NBC’s The Sing Off! Marsalis, McBride, Blanchard, and Watts- less like a jazz quartet, more like a meeting of the genreâ€™s giants and royalty. On this album of â€œsepia syncopations and social commentary,â€ they convene in order to give life to 10 original Watts compositions. The songs are as diverse as the players are skilled, morphing from fierce and feisty angular-bop melodies to slow, sultry swing, from tightly restrained second line and odd-metered funk grooves to dense explosions of chaotic improvisation. These tunes prove (as if we ever needed proof!) 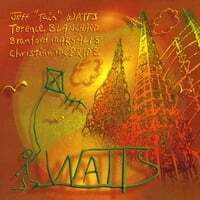 that Jeff â€œTainâ€ Watts is much, much more than just a masterful timekeeper. This young talent on the Portland jazz scene is certainly taking queues from Brad Mehldau, though he is blazing a path all his own. 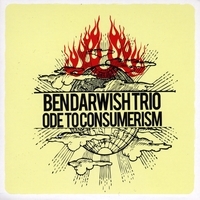 Ben Darwish has the same post-bop piano chops, the same fearless approach towards composition, and the same willingness to fuse â€œseriousâ€ and â€œpopularâ€ music traditions (covering artists such as Green Day in a jazz trio setting). But he also possesses something that sets him quite apart, a rolling, relaxed style that bounces atop the tense and funky interplay of bassist Eric Gruber and drummer Jason Palmer. On this laid-back live recording it becomes clear that when Ben Darwish combines skill with that chill approach, magic happens. 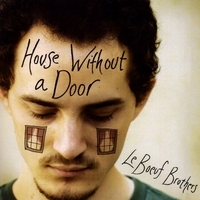 These 2008 winners of the Jazz Services ‘Promoters’ Choice’ Award set their angular improvisations inside a solid structure of carefully executed song craft. 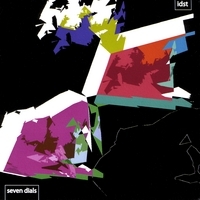 Combining elements of through-composed orchestral jazz, the hide-and-seek melodic playfulness heard on albums by Miles Davisâ€™ â€œsecond great quintetâ€, and the liquid tones of modern artists like Bill Frisell, IDST have created a contemporary folk-jazz sound that is progressive without ever being off-putting. 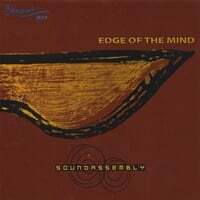 Think of your favorite jazz fusion records of the 80s and early-90s. Now imagine that they were all tastefully produced with great tones and not JUST great songs and technical prowess. 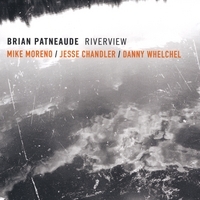 Brian Patneaudeâ€™s latest stunner is such an album. He’s assembled a talented quartet (tenor sax/guitar/organ/drums) that has a sophisticated, lush sound. They can veer from the relaxed or plaintive to the downright funky without ever seeming to leave their comfort zone. â€˜Riverviewâ€™ is a truly fine collection of original compositions and tunes by Don Grolnick and Billy Strayhorn that have been given a modern shine. Forward-thinking New York jazz characterized by odd time signatures, alternative rock, and the influences of artists such as Radiohead, Brian Blade and Kurt Rosenwinkel. At age 19, this rising jazz star has already earned enough accolades to last a lifetime. Iâ€™ll let you read her bio if you want the full resume, but believe you me, it is truly impressive. And Hailey Niswangerâ€™s alto sax skills are no less impressive. She is capable of both sophisticated restraint and explosive improvisations that cleverly twist melody in the very best kind of weird way. Her solid tone is assured and expressive. And Hailey has proven to be a very wise bandleader, as well, choosing great tunes and great players who are comfortable supporting one another without stepping on toes as so many young instrumentalists are prone to do. 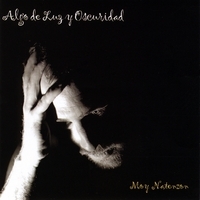 This stunning album of Flamenco and Gyspy-tinged World fusion is an intoxicating mix of passion and restraint. From the very first track, which blends emotive, heart-wrenching vocals with minimalist drum machine, you know youâ€™re in for something both moving and unique. Moy Natenzonâ€™s principle concern seems to be in balancing sound and emotion. Each voice and instrument plays a pivotal role, conveying maximum intensity without cluttering the sonic picture or overwhelming your senses. The Schumacher / Sanford Sound Assembly is a 17-piece collective of New York’s finest players featuring the original compositions of David Schumacher and JC Sanford, blending big band structures with extended forms and heavy improvisation. 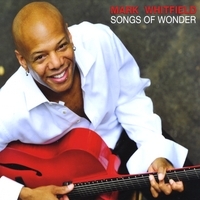 The jazz guitarist extraordinaire is back with a moving, smooth, and personal tribute to the works of Stevie Wonder. Under the Wire Honorable Mentions – These albums were technically released in 2008 but didnâ€™t really find themselves on our desks until early January. Mixing clarinet-heavy cabaret pop and modern chamber Jazz, this rising talent from Cambridge, Massachusetts is both a gifted percussionist AND composer. Never mind the fact that he plays in a bazillion bands, has shared the stage with some true legends, and performed at Carnegie Hall. The future is looking bright for Austin McMahon. His tastefulness as a drummer has certainly informed the restrained but punchy nature of his compositional style, never giving in to â€œlook what I can doâ€ tendencies. The album is also blessed with a diverse sound, though a singular musical vision runs throughout. One minute you might think youâ€™re listening to the backing tracks of a Jon Brion production, the next youâ€™re lost in a post-bop get-down, then you suddenly veer off into minimalist-influenced filmic territory. It is a sound that is hard to pin down besides simply saying that Austin McMahonâ€™s music is subtle, reverential to tradition, and thoroughly new. What is it with brothers? 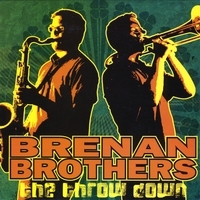 Marsalis, Eubanks, Brecker, and nowâ€¦ Brenan. There is something in the DNA that gives these guys a sympathetic, symbiotic tone when their horns harmonize. It is either that or years and years of practicing in the same house! 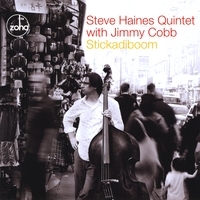 But whatever the origin, the result is a beautifully lush and fiery album of contemporary progressive jazz that wisely traces its roots back to the best in straightahead, post bop, fusion, and Afro-Cuban. The music burns right from the get-go and these guys keep the intensity up with real spirit and great grooves. “The Throw Down” won’t let you down for a minute. It is nice to find some more people interested in Avantgarde Jazz. Best wishes from freejazz.net in Germany.